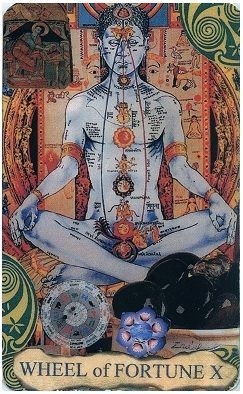 For centuries tarot cards have mystified and instructed students of mysticism. Yet, the actual history of this deck of cards called `tarot’, after the Italian playing cards tarocci, is often as puzzling as the pictures on the cards themselves. The most common tale of their origin is that they derived from a series of 22 hieroglyphs engraved or painted on 22 columns in an unknown Egyptian mystery temple. Others have attributed their origin to the Knights Templar and the gypsies, saying that the cards had ancient wisdom preserved by disguising it in the form of common playing cards. Books would have been the normal method of transmission, and as such would have been suspect; cards would not have been as closely examined, if at all. 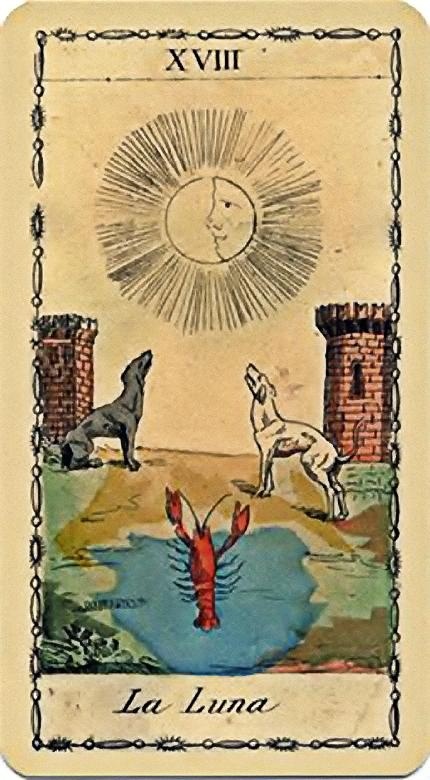 In any case, no matter what the origins of the first tarot cards are, they have come down to us from at least the Middle Ages, with the first deck appearing in the 14th century of French or Italian origin, and continuing through the various initiate lines, including those of the French Rosicrucian tradition. Although many versions of tarot cards existed before the 19th century, it was not until the period know known as the French Occult Revival (1850-1914) that the cards, especially the Major Arcana or 22 chief picture cards, took on their current symbols, number, order and form. In his work, The Tarot of The Bohemians, Dr. Gerard Encausse, better known by his pseudonym Papus, describes many of these earlier decks. Some of them range from as few as 21 cards to as many as 97 picture cards. Although Papus later designed his own deck, published in 1915, for his seminal work on the history, kabbalistic interpretation and initiate use, Papus used the deck created by his friend and fellow Rosicrucian Joseph John Paul Oswald Wirth (1860-1943). It was Oswald Wirth, a Swiss occultist and artist who designed the first tarot deck with twenty-two cards. In doing so, Wirth set the stage and format for almost every deck that was to follow. The modern tarot has its roots in traditional western mystical symbolism. 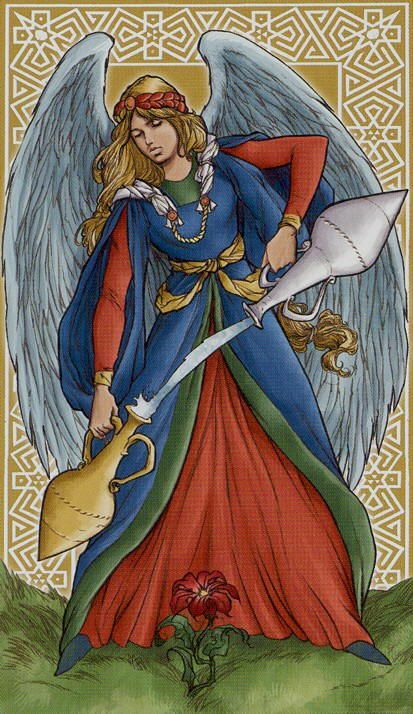 The images on the Major Arcana are taken from the ancient and medieval schools of kabbalah, alchemy, hermetics, Rosicrucian and Masonic philosophy. They were combined with the imagination and creative expression in the mind of Eliphas Levi (Alphonse-Louis Constant, 1810-1875) an eminent Rosicrucian and grandfather of modern occultism. 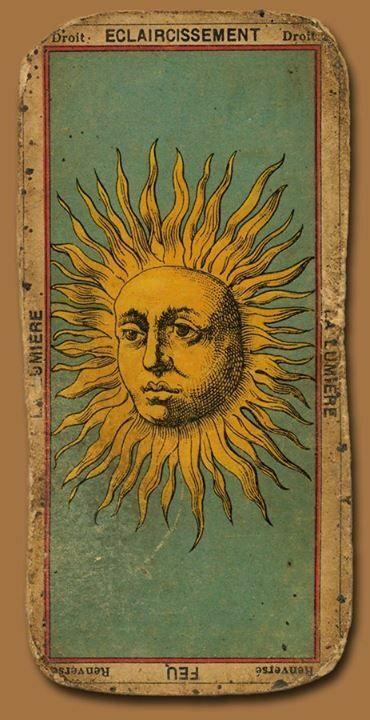 In his first book, Rituel de la Haute Magie (Rituals of High Magic), published in 1865, Levi mentioned the need for a complete and synthetic tarot deck. Up until then, all the decks in existence varied considerably in form and content, as well as interpretation. It was also in Rituel that for the first time any attempt was made to draw a correlation between the number of cards in the Major Arcana and the number of letters in the ancient Hebrew alphabet (both twenty-two). Death, however, overtook Levi before he was able to complete his attempt to reconcile the various decks. With his passing in 1875, he had only completed a series of rough drawings of the cards and the symbols they were to contain. However, years later, a man who had never met Eliphas Levi, the now idealized Magus of French and European occultism, and who had been 13 or 14 at the time of Levi’s death, took up this unfinished task. This man was Stanisluas de Guiata (1861-1897), an accomplished and highly visible French occultist and mystic of the period. Guiata was generally held to be the spiritual heir of Levi at this time. While still relatively young (only 26), Guiata was a considerable force in European and French mystical circles, and could even be called a celebrity of sorts. He had published two books, dozens of articles, and was involved with the Salon de la Rose-Croix, a Parisian art gallery which hung mystical and inspirational art. In 1888 he founded the Kabbalistic Order of the Rose+Cross (Ordre Kabbalistique Rose+Croix), whose co-founders included his illustrious contemporaries: Dr. Gerard Encausse (1865-1916) or Papus (23 at the time), Joseph `Sar’ Peladan (1858-1917) and Albert Faucheux (Francois-Charles Bartlet, 1838-1921). While Peladan would later go on to found the schismatic Rose+Croix Catholique (or Universal Rose+Croix) in an attempt to mend his mysticism with traditional Church dogma, he, Guiata, and their companions, were very definite spiritual stars on the rise. It was not Guiata however, that was to complete the deck begun by Levi. Instead he picked a disciple that would be remembered by history for this work which he, Guiata, guided and inspired. His chosen disciple was Oswald Wirth. Wirth’s occult interest and talent as an accomplished artist made him well suited for the task. Wirth’s meeting with Guiata and the circumstances surrounding it are as mysterious and amazing as the ethereal worlds they sought to explore. Early in 1887, the year they first met, Wirth was experimenting with mesmerism and its applications to healing. During one of his sittings with an older woman on whom he was doing `magnetic sweeps’ the woman began to mumble. He dismissed the mumbling since she had done this several times before. But then suddenly, she said with clarity and conviction, You will receive a letter with a red seal of armorial bearings! She went on to describe who would be sending the letter: It is written by a young fair-haired man with blue eyes who has heard of you and wishes to make your acquaintance. He will be very useful to you and you will get on extremely well together. For several weeks Wirth waited for this mysterious letter to arrive. After awhile he dismissed the woman’s statements to a vivid and wandering imagination due to the influences of her hypnotic sleep. One day however, after several months, the letter arrived. Described by her in detail, Wirth opened it to find an invitation by Guiata for a meeting together. Wirth replied and they met in the spring of 1887. Having never met Guiata, Wirth had no idea as what to expect. 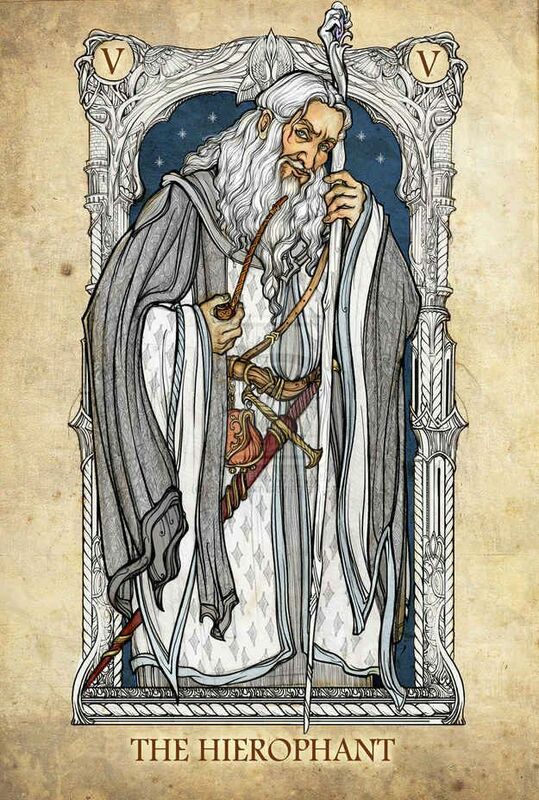 He imagined his host as being a middle-aged sage or magus; possibly cloistered away all evening performing forbidden rites and rituals as his reputation suggested. His detractors and the sensational media of the day claimed that Guiata was a modern day Dr. Faustus! Much to his surprise, Wirth met the young man described by the mesmerized woman months earlier. Guaita was quick to get to work. At this meeting he described to Wirth his plan to reconstitute the tarot and wanted Wirth to help him, and do the actual art work. To accomplish this, Guiata presented Wirth with a copy of Levi’s Ritual of High Magic and two decks of tarot cards, one Italian, the other Marsailles, based on an earlier Italian deck. After this meeting Guiata and Wirth became close friends with Wirth serving as Guiata’s secretary. Having both Guiata and his library at his disposal, Wirth learned kabbalistic metaphysics and was taken through the various pathways of spiritual initiation. Since Guiata himself started with the works of Eliphas Levi, he required Wirth to do the same. After finishing Levi’s writings, Wirth moved on to the works of the Renaissance and Medieval traditions. Hermetics, alchemy, kabbalah, Freemasonry, and Rosicrucianism became his principle studies. While opening Wirth’s mind and inspiring his soul, Guiata also improved Wirth’s writing style and use of French. Finally, in 1889, the deck was completed and reproduced in a work entitled, The Kabbalistic Tarot of which only 350 copied were printed. 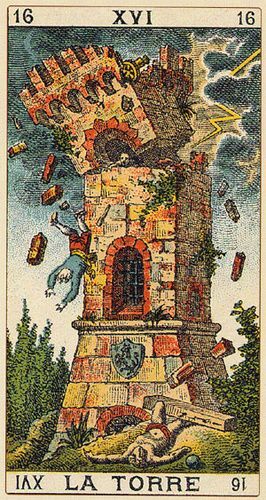 The deck was later reproduced again in Papus’ book, The Tarot of The Bohemians, along with and essay by Wirth on the astronomical tarot. Under the careful guidance and instruction of Guiata, Wirth made one of the most important contributions to modern esotericism: a synthetic and harmonious deck of 22 cards, complete with traditional symbols and interpretations for their use. Although Wirth recognized and commented extensively on the prophetic and predictive uses of the tarot, unlike many of his predecessors and contemporaries (and many that followed), Wirth’s main concern was the initiate meaning and use of the tarot. To explain the symbols and his vision of the deck, Wirth began writing a book that was eventually published in 1927 under the French title, The Tarot of the Middle Ages, which included an updated version of the cards. Each of the Major Arcana was explained in detail as well as its relationship to each of the other cards. It is important to note Wirth considered only the Major Arcana worthy of the designation `arcane’ and considered the remaining cards simply as playing cards and of no significant value to the initiate. In 1931 he published a smaller monograph in Paris on the cards entitled, An Introduction to the Study of the Tarot, in which he briefly reviews the deck he designed. Based upon the discovery of Guillaume Postel, Wirth divided the Major Arcana into two equal rows of eleven cards each. The first row was comprised of cards 1 through 11, the second row beneath it going from right to left, of cards 12 through 21 with the Fool at the end. The upper line of cards was designated the Masculine or Positive line; the bottom line designated the Feminine or Negative line. The top cards represented Fire and Air, the alchemically Dry and rational aspects of the human psyche. 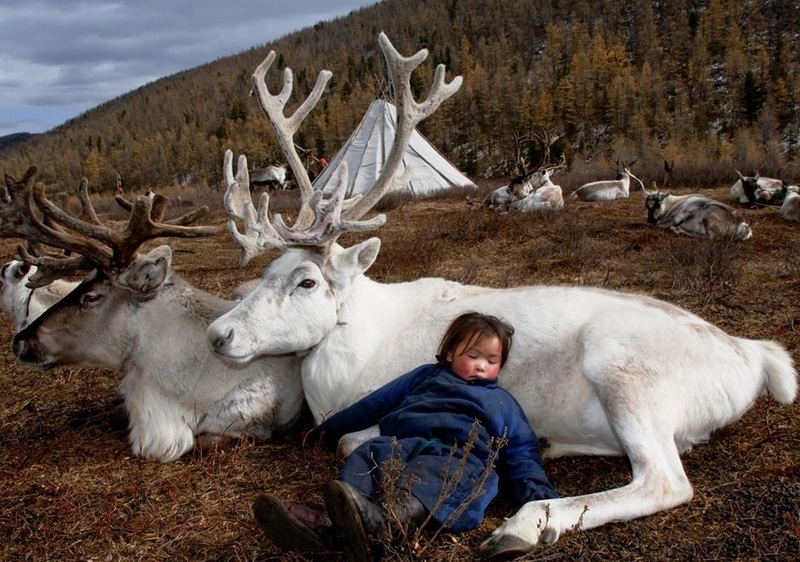 The bottom line represented Earth and Water, or the Wet, emotional aspects of human nature. Together they symbolize the two forms of initiation: dorian and ionian. Both rows were then split into two equal sections of five cards each with a middle mediating card in each row, cards 6 and 17, representing points of transition. In the top (or dorian) row, the first five cards represent the initiate’s theoretical training, then a moral crises to test their development. Then the last five cards of the row is putting into practice what the initiate has learned. In the feminine or ionian row, the cards represent the exact opposite, with the experiences coming first, then a transitional point leading to theoretical understanding. In either case, if the initiate fails the moral test, they are forbidden to travel any farther on the path until they successfully resolve the test. Wirth also describes in detail the meanings of the various obscure mystical symbols and how they relate to one another in the numerical decade. The decade, or number ten, results from the addition one plus two plus three plus four (1+2+3+4=10). While ten is the number of Sephiroth in kabbalah, each of the individual numbers themselves has its own significance. In the number one we see the symbol of the circle; in two we have the cross; three is the triangle; and four the square. Wirth describes and explains each symbol and its potential combinations with each of the other symbols. Colors, metals and planets are included in his study on the meaning and applications of traditional hermetic symbols. In addition to Wirth, many other Rosicrucian students and adepts made contributions to the development of the mystical tarot. Among them was Jean-Baptiste Pitois, better known by his pseudonym Paul Christian. Pitois was the author of several books on mysticism, including L’Homme Rouge de Tuileries, 1863 (The Red Man of Tuileries), and Histoire de la Magie, 1871 (The History of Magic). His contributions to the tarot and initiation however came from his translation of a manuscript reputed to have been of Fourth Century Egyptian origin. The manuscript, entitled Egyptian Mysteries, was discovered by Pitois while he was sorting though tens of thousands of volumes of books confiscated from the libraries of the monastic orders of France. Having accepted a position with the Ministry of Public Instruction in 1839, it was his job to sort through the volumes for books of exceptional value. While performing his duties, Pitois stumbled across many books and manuscripts on the occult, mysticism and related subjects, spurring his interest in such matters. Later in his life, Pitois’ affiliation with the French writer and mystic Honore de Balzac (1799-1850) would deepen his knowledge of astrology. His devotion to his spiritual teacher Eliphas Levi, whom he met around 1852, strengthened Pitois’ knowledge of kabbalah and the tarot. The manuscript discovered by Pitois was an outline in detail of the instruction of a disciple by a master in the Egyptian temples. It included a loosely veiled description of the traditional twenty-two pillars and their engravings, which are said to be the source of the tarot. In his translation into French of the manuscript, the columns, or cards, are divided into three sets of seven cards each with The Fool at the end. The first column is dedicated to the Rite of Osiris, the second column to the Rite of Isis, and the third column to the Rite of Horus. They continue alternating through all the twenty-one numbered cards with The Fool at the end. The most impressive aspects of the manuscript however, are the instructions of the master to the disciple, their journeys through the planes of consciousness, and the various tests and trials that the disciple must face and conquer to be a member of the temple and celestial hierarchy. Although it was originally thought to be a direct reproduction of an original Fourth Century manuscript, this was later proven to be false. Pitois’ Egyptian Mysteries was (and still is) of great esoteric value, however it probably belongs to the end of the Eighteenth Century for its origins. Most likely of Illuminati, Masonic, or Rosicrucian origin, it may have belonged to one or more of the many lodges or societies then active. Another contributor to the development of the modern tarot was Dr. Gerard Papus Encausse. Because of his medical studies and later appointment as a medical doctor, he took the name `Papus’ after one of the seven jini of the Egyptian healing arts. As mentioned earlier, in his work on the initiate tarot, The Tarot of the Bohemians, Papus used Wirth’s deck (his own deck unfinished until two years before his untimely death in 1917 from exhaustion during World War One). Among his other accomplishments was his involvement with Guiata in the formation of the Ordre Rose+Croix Kabbalistique (Kabbalistic Order of the Rose+Cross) at the age of twenty-three. He was also a previous member in the Theosophical Society, and was elected to the position of General Council of the Theosophical Society of France in 1887. He published his first work in 1884, but it was not esoteric, and received his M.D. in 1894, despite his well known involvement in the occult. 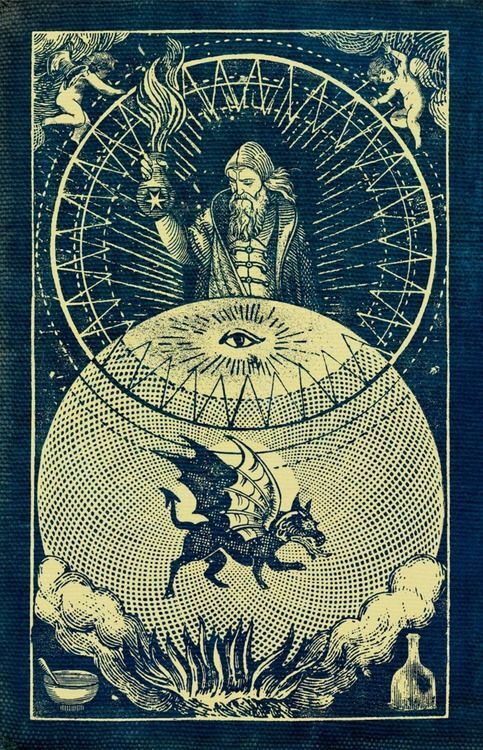 In 1891, at 26, he published his Traite Methodique de Science Occulte, a classic of 19th century occultism. Papus’ chief mentor was Joseph-Alexander Saint-Yves (Saint-Yves d’Alveydre) (1842-1910), a disciple of Fabre d’Olivet, an author of many works mixing politics and occultism focusing on the ideal society ruled by a spiritual elite. It was in 1888 that Papus left the Theosophical Society and formed his own Groupe Independant d’Etudes Esoteriques (Independent Group of Esoteric Students) and soon afterward met Saint-Yves who claimed to be the Grand Master of the Martinist Order. The Martinist Order, according to Saint-Yves, was based upon the teachings of Louis-Claude de Saint-Martin, and his teacher Martines de Pasqually. In 1891 a Supreme Council for the Marinist Order was founded in Paris with Papus as its Grand Master. Papus traveled extensively, even visiting Russia three times, setting up Martinist groups, and being a guest of Czar Nicholas the Second. On his third trip he encountered Rasputin, whom it is said he did not get along with because of Papus’ close relationship to the Royal family. He also served as Master of the Paris lodge of the Hermetic Order of the Golden Dawn in 1895. Later (after 1916), Papus became a Grand Master of the Ordo Templi Orientis, and the lodge of Memphis and Mizraim in France. Many of the organizations he founded or a lead at one time or another, later became affiliated members of the FUDOSI, and Rosicrucian Order, AMORC. Like Wirth, Papus saw the tarot as principally a guided system of sequential meditations, as well as an effective means of preserving the ancient symbolic wisdom in picture form. Through constant meditation on the cards in order, the secrets they held could be slowly revealed to the student. Both saw a strong kabbalistic correlation between many of the symbols and the cards, as well as the use of Hebrew letters as an additional means of correspondence. Papus disagreed with Wirth however on the value of the Minor Arcana. Here, Papus believed that they could serve additional use, but primarily in the role of divination, not meditation. One of the last figures to make substantial contributions to the tarot during this period was the famous English writer Arthur Edward Waite. Waite’s studies of the Rosicrucian mysteries brought him into contact with many eminent minds of his day. A contemporary of Papus, Waite translated many of his works from French into English. 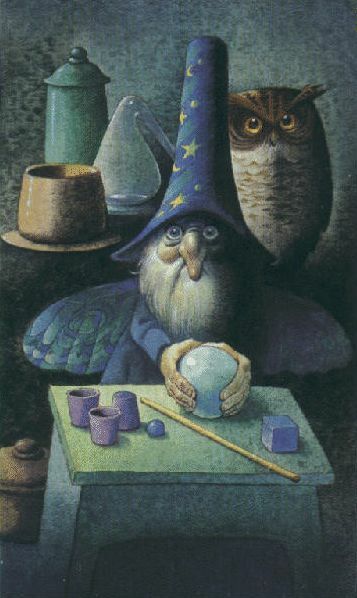 Unlike in previous decks, Waite altered the sequence of several of the cards, exchanging the places of the 8 and 11, and placing The Fool at the front of the deck. Waite’s deck known as the Rider-Waite Deck, also was the first to give complete picture cards to each of the Minor Arcana cards. 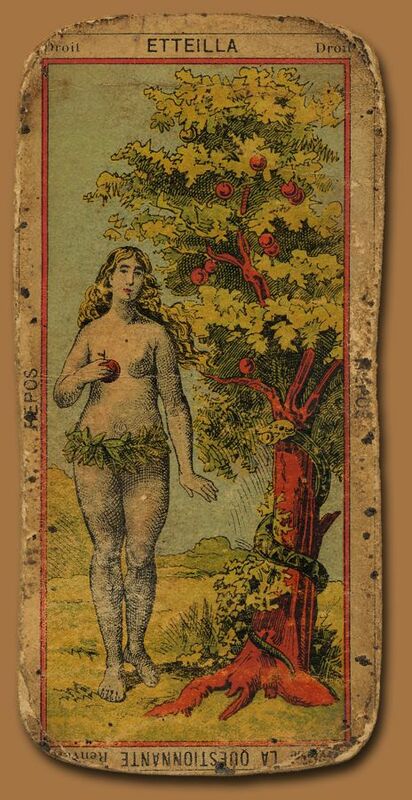 This deck was first published in 1910, and was drawn by Pamela Coleman Smith. The uniqueness of each of these decks is what makes them appealing. Each reflects a special aspect of their designers, while still being true to their esoteric tradition, reflecting their Western-hermetic-Rosicrucian roots. While no one deck can represent what a tarot deck should or must be, to be truly called tarot each deck must follow the tradition while adapting to its age. A careful and methodical meditation on the cards of one or more of these decks can lead us into a deeper and more profound understanding of what it means to be a student of the hermetic and tarot traditions. ‹ John C Lilly on Alternate realities, Psychedelics, Men, Women and God….